Help capture the most important first memories together as husband and wife with Travelshoot. While another blender or cutlery setting is a nice gesture, gifting an experience which will perfectly capture the romantic honeymoon or preserve future travels will be remember for a lifetime. Whether it's blissfully exploring Paris' cobble stone streets with the Eiffel Tower as the backdrop or walking along the East River with the Manhattan skyline as the setting or simply wandering around the city the couple met to remember the first time they met, Travelshoot has it covered! Travelshoot connects travelers with local, professional photographers in over seventy destinations around the world to capture those once in a lifetime moments. There are three packages being a 1, 2 or 4 hour photo tour experience like nothing else. The longer the experience, the more locations covered and images received. 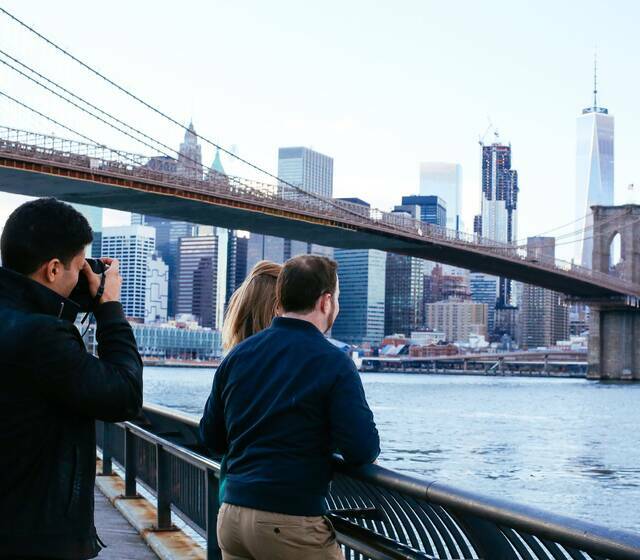 Travelshoot work closely with their network of local photographers in each destination to create the ideal itinerary to capture the best vantage points of each city. The couple are able to connect with the photographer prior to their shoot to chat through any specific questions or adjust the itinerary to make the experience tailor made for them. Each photographer on the Travelshoot network goes through a rigourous vetting process to give piece of mind that not only will the couple have great images but also enjoy a fun, friendly experience with a local who can point out the hot spots around the city. After spending thousands of dollars on wedding photography, don't let the truly romantic and memorable moments of the honeymoon be forgotten or preserved with an out of focus selfie. Give the perfect wedding gift and help capture the love with Travelshoot. Document your Honeymoon with Travelshoot! Looking to capture unforgettable memories while on your honeymoon? Let Travelshoot provide you with an experience you will love and cherish!